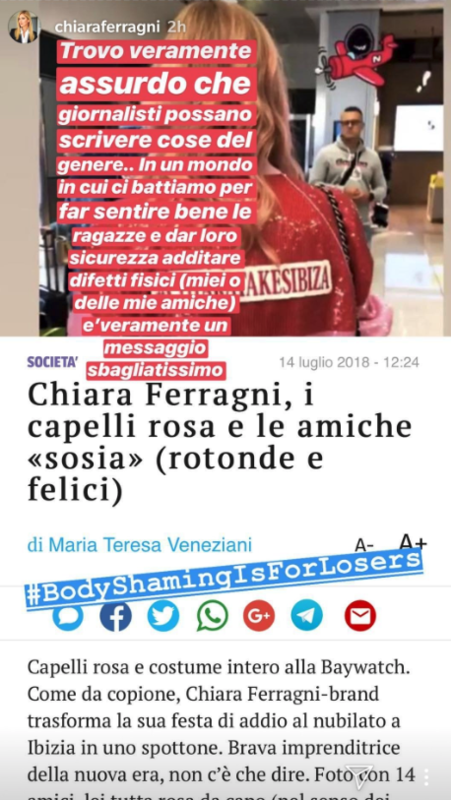 They also mentioned Chiara was "showing off" the five kilos she gained from her pregnancy. Chiara Ferragni is an influencer, entrepreneur, and mastermind behind the extremely successful blog-turned-magazine and retailer, The Blonde Salad. I mean...there's even a Harvard case study about her success. She recently became a mom and is about to marry her boyfriend, Italian rapper, Fedez. Which brings us to Ibiza. Chiara and her closest friends took a trip to the Spanish island to celebrate Chiara's bachelorette party. Everything seemed great, right? They even wore cute matching jackets designed by Alberta Ferreti. 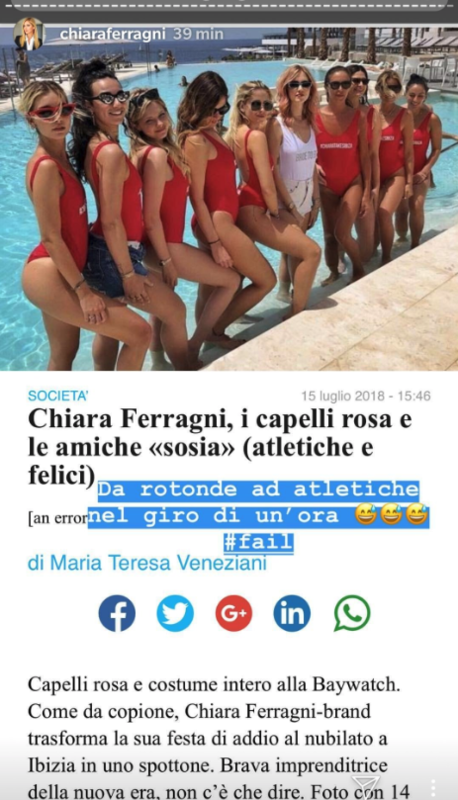 That was until an Italian newspaper called Corriere della Sera, used a photo of Chiara and her friends wearing matching bathing suits and referred to them as "rotonde e felici" which translates to "round and happy." The newspaper also mentioned Chiara was "happily displaying" her baby weight. Following this *unwelcome* commentary, Chiara didn't stay quiet. 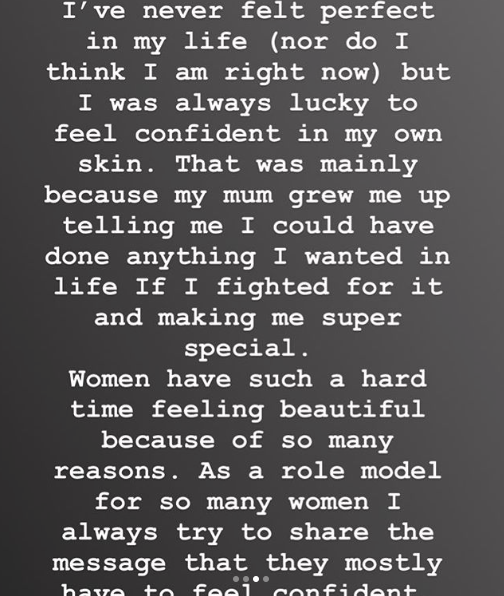 She fired back at the publication calling it "disgusting" and emphasizing that this is the wrong message to send women, who already have a hard time feeling beautiful all the time. She also coined the hashtag #BodyShamingIsForLosers, which already has over a thousand posts on Instagram. The newspaper hasn't publicly acknowledged the incident, but they have since changed the headline from "round and happy," to "athletic and happy." 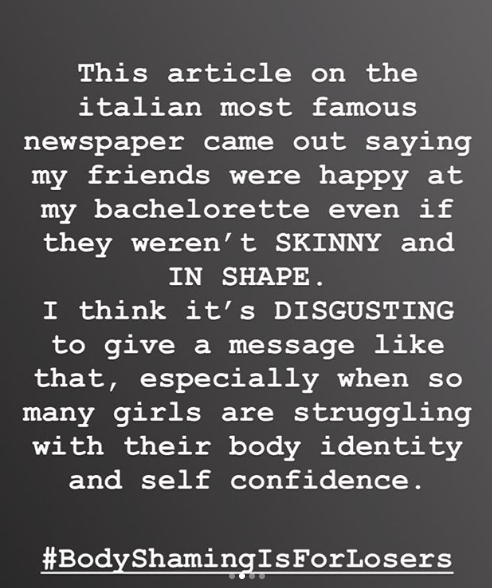 Chiara, you got it right, body shaming *is* for losers! 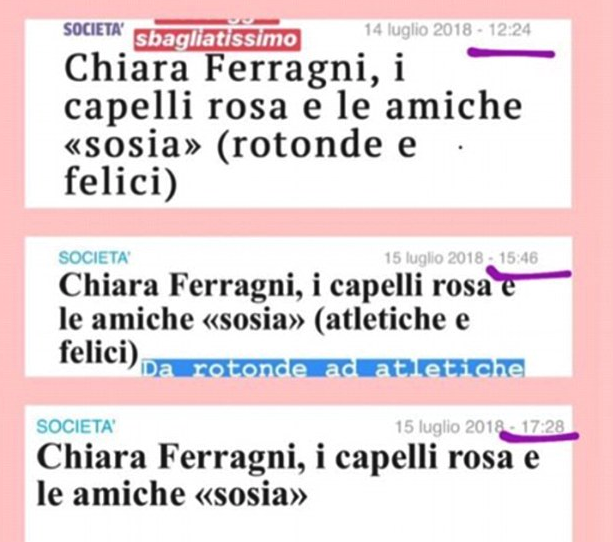 As/Is has reached out to Chiara Ferragni for comment.